Sign up to be the first to receive the latest on Supra Alloys products & services or industry news. Following is an overview of the most frequently encountered titanium alloys and pure grades, their properties, benefits, and industry applications. For specific terminology, please see our ‘definitions’ section at the end of this page. Grade 1 titanium is the first of four commercially pure titanium grades. It is the softest and most ductile of these grades. It possesses the greatest formability, excellent corrosion resistance and high impact toughness. Grade 2 titanium is called the “workhorse” of the commercially pure titanium industry, thanks to its varied usability and wide availability. It shares many of the same qualities as Grade 1 titanium, but it is slightly stronger. Both are equally corrosion resistant. This grade is least used of the commercially pure titanium grades, but that does not make it any less valuable. Grade 3 is stronger than Grades 1 and 2, similar in ductility and only slightly less formable - but it possesses higher mechanicals than its predecessors. Grade 4 is known as the strongest of the four grades of commercially pure titanium. It is also known for its excellent corrosion resistance, good formability and weldability. Grade 7 is mechanically and physically equivalent to Grade 2, except with the addition of the interstitial element palladium, making it an alloy. 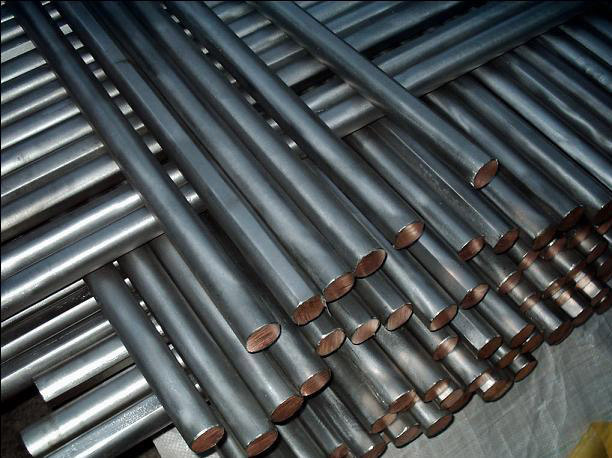 Grade 7 possesses excellent weldability and fabricality, and is the most corrosion resistance of all titanium alloys. 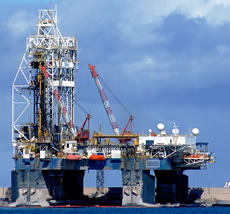 In fact, it is most resistant to corrosion in reducing acids. Grade 7 is used in chemical processes and production equipment components. Grade 11 is very similar to Grade 1, except for the addition of a tiny bit of palladium to enhance corrosion resistance, making it an alloy. This corrosion resistance is useful to protect against crevice erosion and reducing acid in chloride environments. Known as the “workhorse” of the titanium alloys, Ti 6Al-4V, or Grade 5 titanium, is the most commonly used of all titanium alloys. It accounts for 50 percent of total titanium usage the world over. Its usability lies in its many benefits. Ti 6Al-4V may be heat treated to increase its strength. It can be used in welded construction at service temperatures of up to 600° F. This alloy offers its high strength at a light weight, useful formability and high corrosion resistance. Ti 6AL-4V ELI, or Grade 23, is the higher purity version of Ti 6Al-4V. It can be made into coils, strands, wires or flat wires. It’s the top choice for any sort of situation where a combination of high strength, light weight, good corrosion resistance and high toughness are required. It has a superior damage tolerance to other alloys. Grade 12 titanium holds an “excellent” rating for its high quality weldability. It is a highly durable alloy that provides a lot of strength at high temperatures. 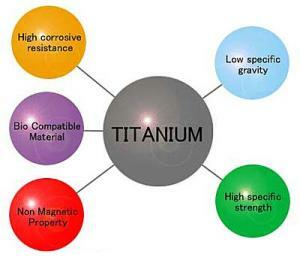 Grade 12 titanium possesses characteristics similar to 300 series stainless steels. Ti 5Al-2.5Sn is a non-heat treatable alloy that can achieve good weldability with stability. It also possesses high temperature stability, high strength, good corrosion resistance and good creep resistance. Creep refers to the phenomenon of plastic strain over long periods of time, which happens at high temperatures. 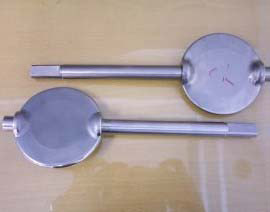 Ti 5Al-2.5Sn is mostly used in aircraft and airframe applications, as well as cryogenic applications. Drop hammer method – The use of a machine consisting of an anvil or base aligned with a hammer that is raised and then dropped on molten metal, in order to forge or stamp the metal. Ductility – A metal’s ability to be easily drawn into wire or hammered thin; easily molded or shaped. Fabricality – Refers to a metal’s ability to be used to create machinery, structures, and other equipment, via being shaped and assembled. Formability – A metal’s ability to be manipulated into various forms and shapes. Hydropress Forming - The pressure exerted by a rubber press head forms a sheet of metal to the configuration of the tool – shaping the metal. Interstitial Elements – “Impurities” found in pure metals, sometimes adding benefits to the alloy. Press Brake Forming – A machine used to bend sheet metal into whatever form is called for. 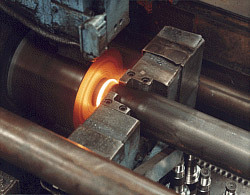 Stretch form method – A technique in which the heated metal sheet is stretched over the mold and then cooled into shape. © 2019 Supra Alloys, a Division of TITAN Metal Fabricators, Inc.